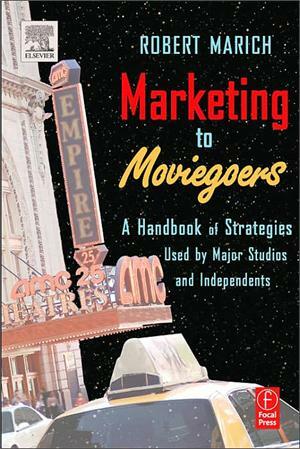 Marketing to Moviegoers by Robert Marich is an essential guide to film marketing. As digital technology makes it easier to produce films, the volume of films continues to grow, making it more and more difficult to ensure that each individual film has an audience. This book describes how major studios and independent distributors develop a targeted marketing plan — including creating advertising materials, buying advertising for multimedia campaigns, mounting integrated publicity campaigns, and conducting consumer research — for each film that will inspire confidence in and generate excitement among investors and distributors and enable the film to be seen by the public. Marketing to Moviegoers offers clarity and insight into the complicated movie marketing process and provides practical solutions that filmmakers can apply to their own films and strategies that film marketing executives can adopt. The use of real-world information, such as examples of and data from movie advertising campaigns of varying sizes and budgets, including independents, and interviews with well-known film industry executives provide a complete understanding of the theory and actual practise of the movie marketing process. Marketing to Moviegoerss will be an invaluable resource for film marketing executives, Hollywood executives who need to understand theatrical distribution, consumer product marketers that participate in tie-ins with movies, aspiring filmmakers, and students who want to learn about the process from a practical point of view. Robert Marich is a business journalist and analyst with more than twenty-five years of experience covering film and media. He has held senior editorial jobs at media researcher Kagan Research, Variety Deal Memo film business newsletter, daily trade newspaper The Hollywood Reporter, Investor's Business Daily, Television Week and Advertising Age. His freelance articles have appeared in London-based Screen International, the business section of the Los Angeles Times, Emmy magazine, and Forbes.